Issues with the 2005-2010 Honda Odyssey fuel strainer occurring when the strainer is exposed to acidic chemicals, like those in a car wash, have caused Honda to recall over 800,000 of these minivans. This just in: every car ever made anywhere has been recalled for safety issues. Okay, not really, but with the alarming number of auto safety recalls in recent weeks, it sure seems that way. 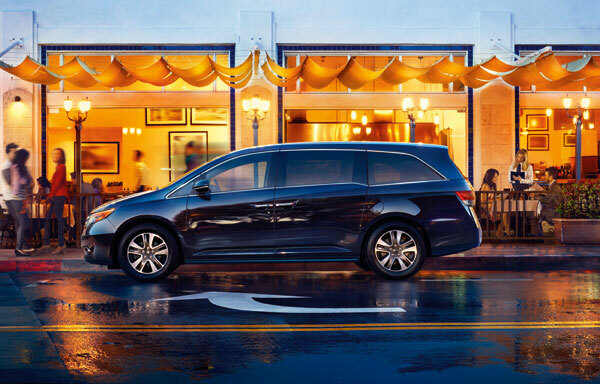 The latest to be added to the list is a 2005 – 2010 Honda Odyssey recall that in total affects 886,815 minivans. Honda will be replacing fuel strainer that currently increases the risk of fire in the affected models. The replacement will come at no cost to the owner. According to Honda’s official statement regarding the recall, if the fuel strainer is exposed to acidic chemicals (like those found in car washes and in the general environment), combined with high ambient temperatures, it could deteriorate at an alarming rate, essentially cracking the cover and other parts of the fuel tank. In extreme cases, this could lead to a fuel leak and subsequent fires. Honda discovered this issue during warranty repairs. The Japanese automaker reported that it is not aware of any crashes, injuries, deaths, or fires related to the issue. As the vehicles in question are no longer in production, drivers will have to wait until the summer before replacement parts will become available. Honda will still be reaching out to drivers of potentially affected vehicles in late April to early May. The automaker will then notify owners once parts become available in the summer. For the latest recall updates and information, visit our recall newsfeed.